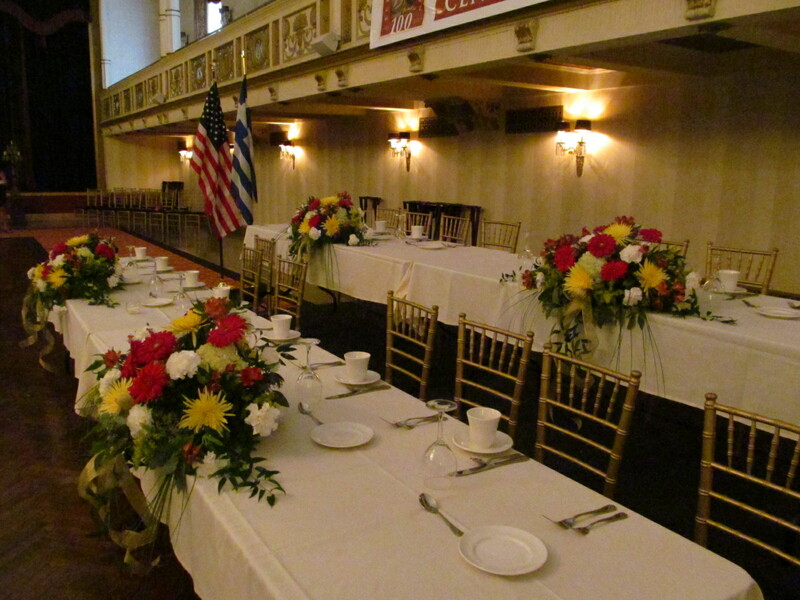 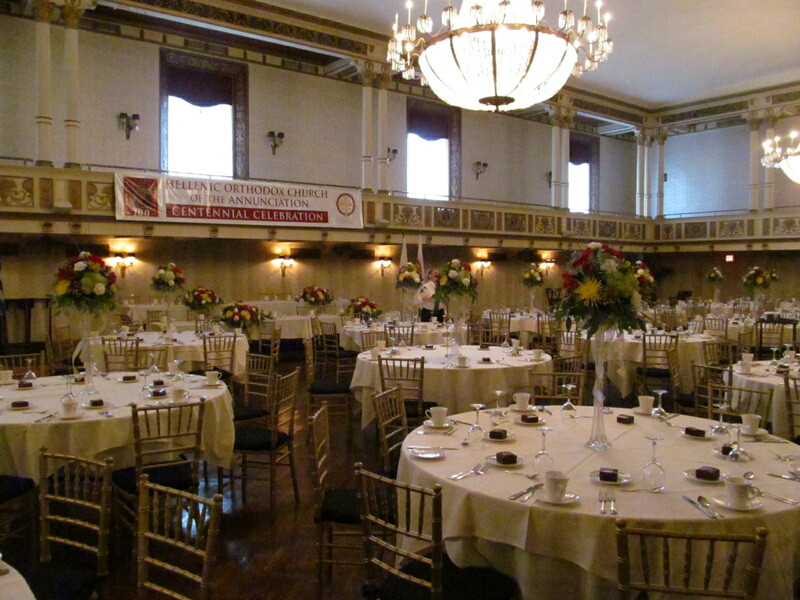 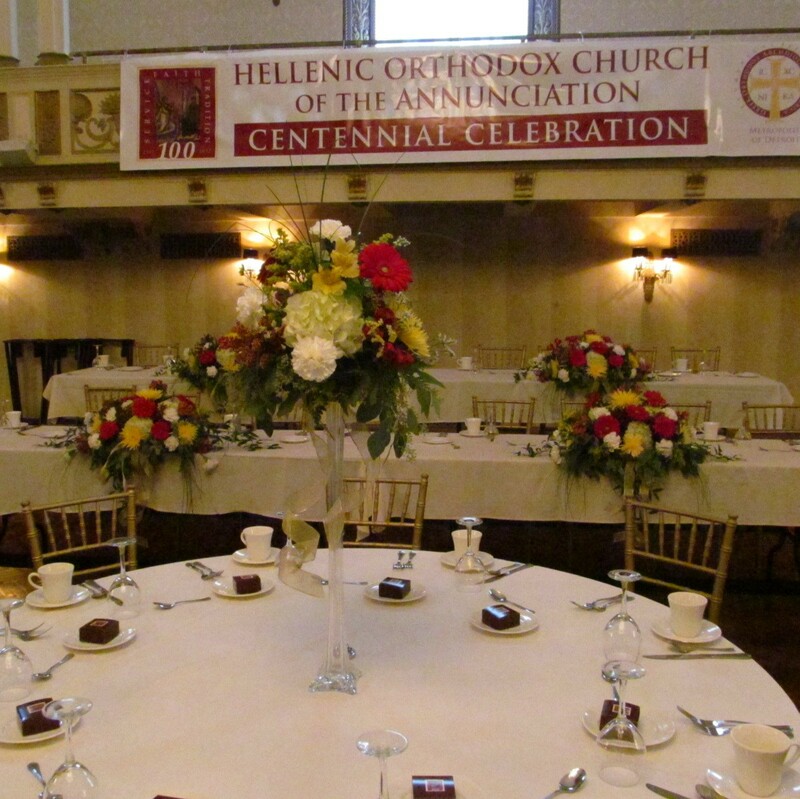 For this event held at the Statler Golden Ballroom in Buffalo, NY, Lipinoga Florist designed floral arrangements to complement the group’s color scheme of red, yellow and gold. 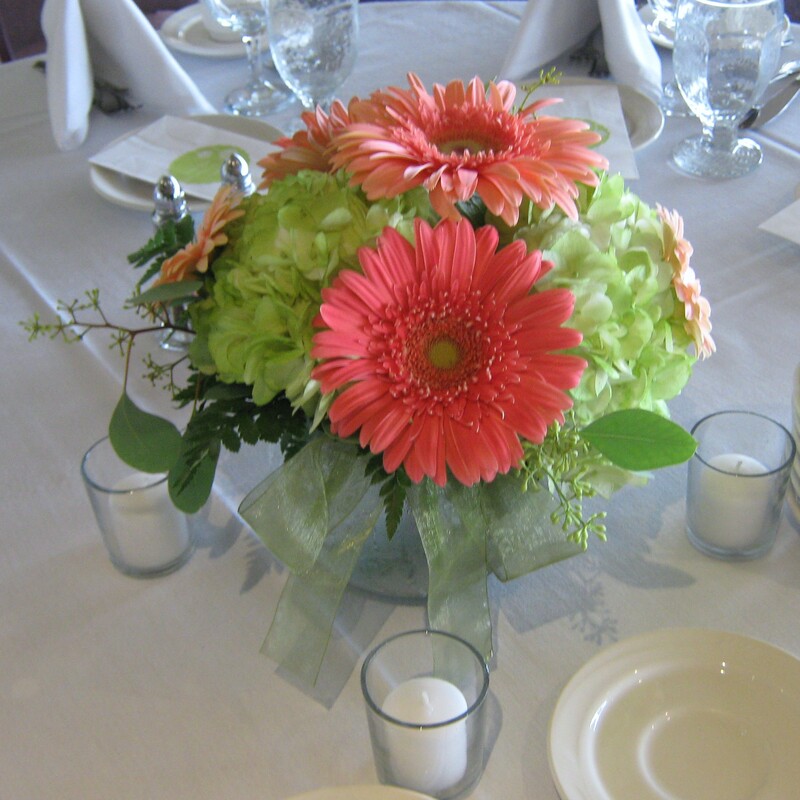 Eiffel tower vases tied with a gold ribbon held a floral arrangement of hydrangea, gerbera daisies, mums and carnations. 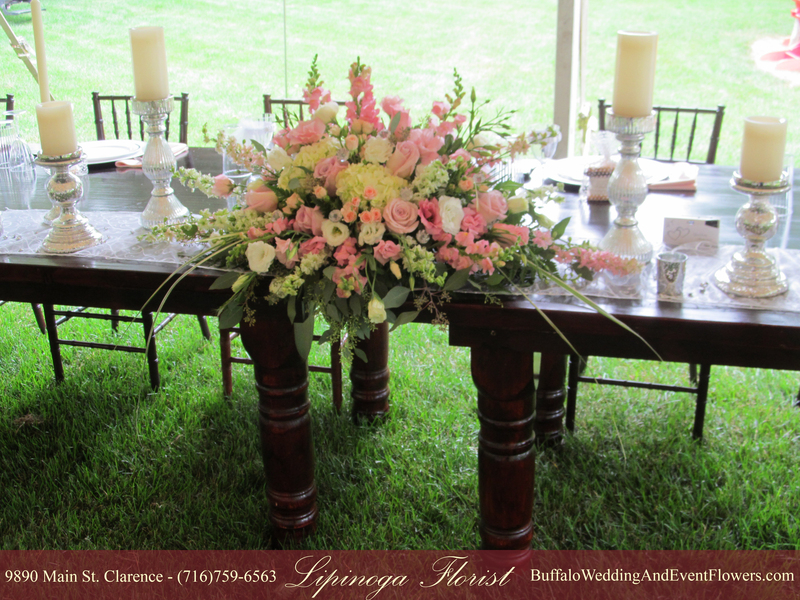 Beautiful long and low centerpieces were placed along the head tables to create a beautiful ambiance and foreground for the honored guests and to create a focal point in the room. 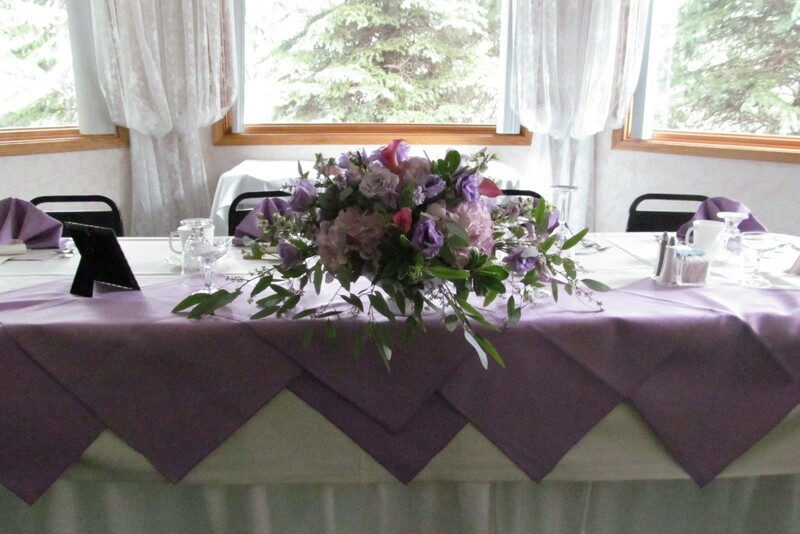 Looking for an adorable theme for a baby shower (child’s birthday party, christening, etc. 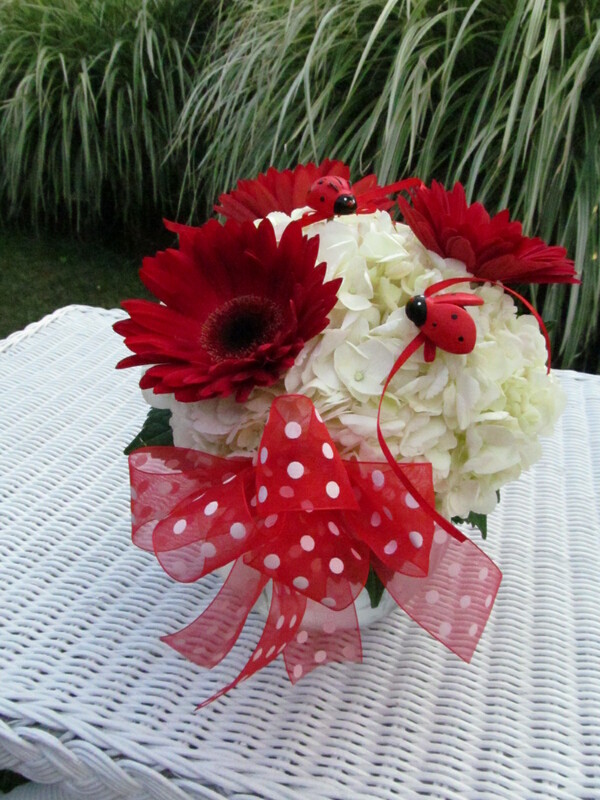 ), ladybugs and polka dots look adorable together. 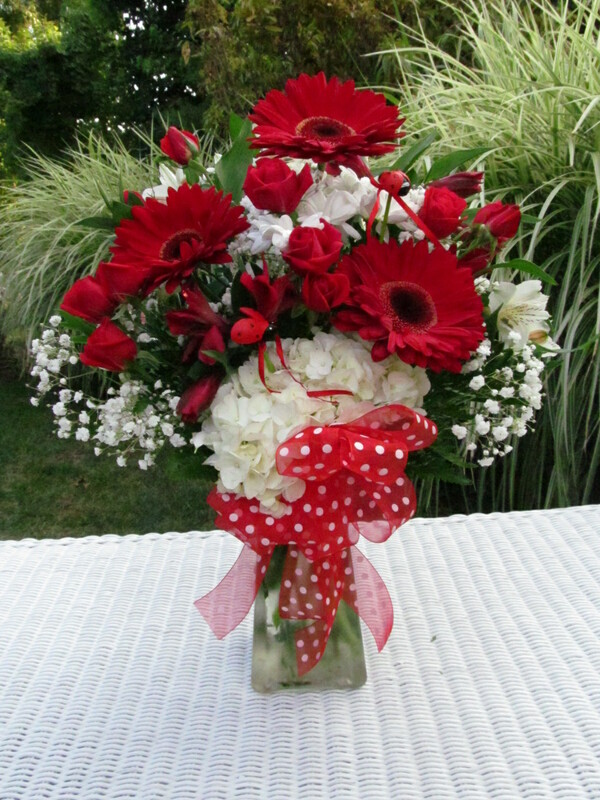 The bright red color pops against accents of white and black. 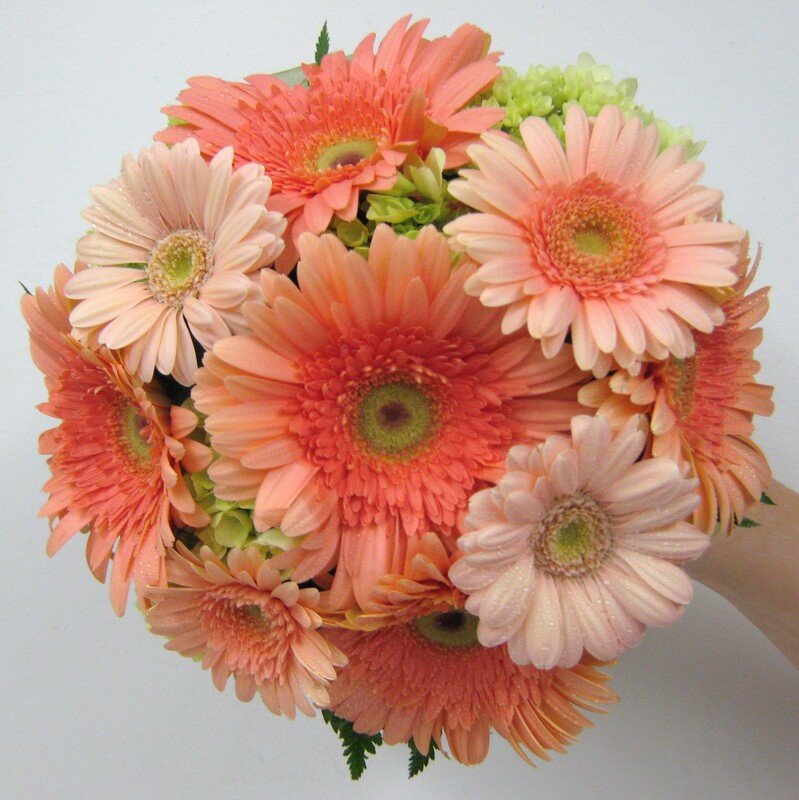 A low centerpiece of hydrangea and gerbera daisies is accented by adorable lady bugs and a polka dot bow. 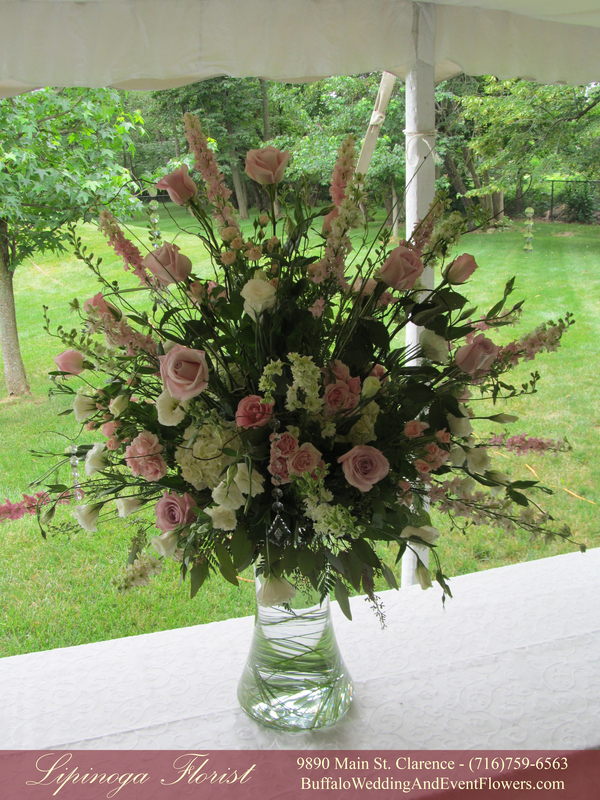 A taller vase arrangement is perfect for an accent table. 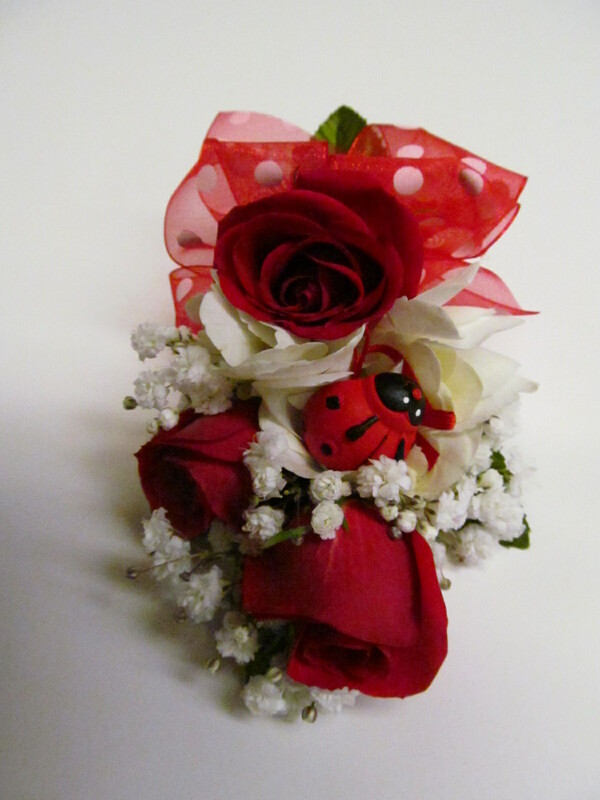 A small ladybug is placed in a corsage for the mom-to-be to follow through with the theme. 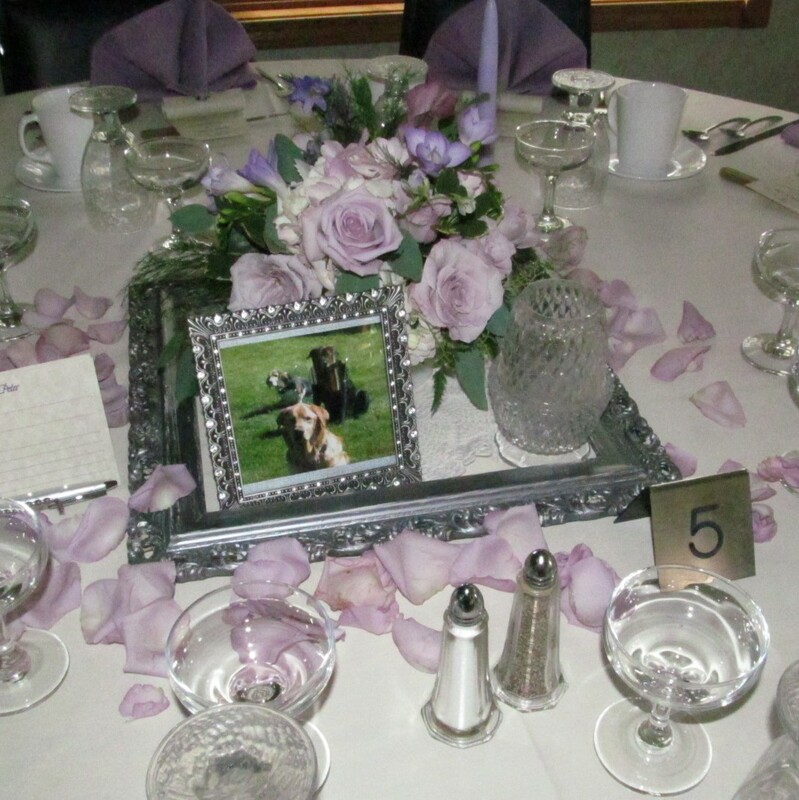 Consider decorating the cake with polka dots and ladybugs or offering chocolate ladybugs as favors to make a baby shower that everyone will remember! 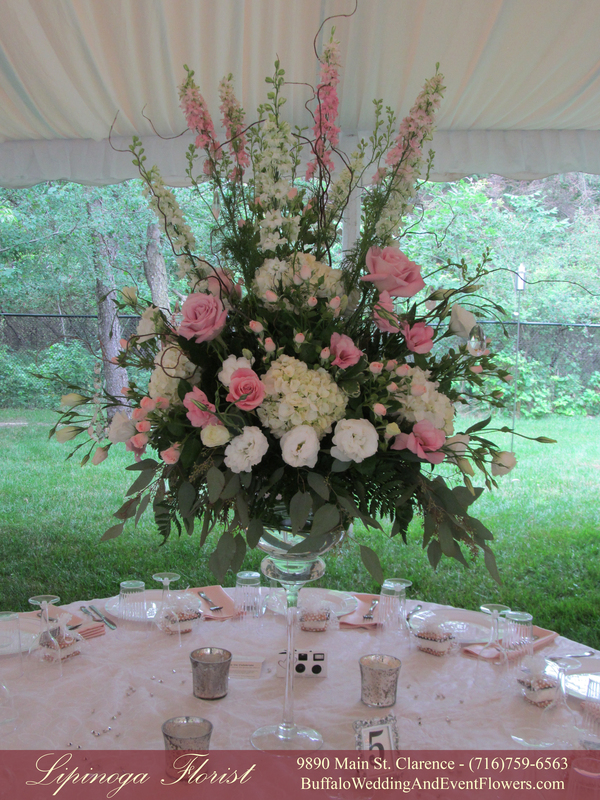 Every shower we create is unique and we can customize the flowers to suit any theme. 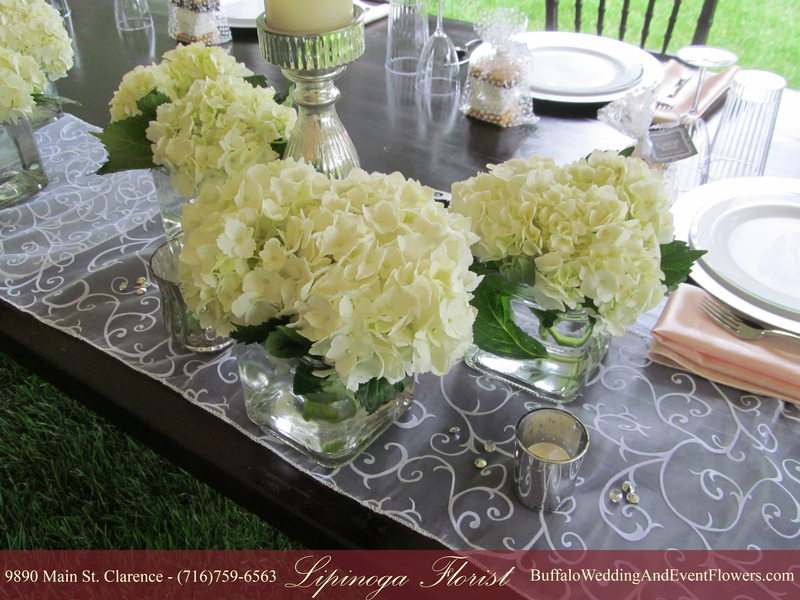 Planning a baby shower in the Buffalo, NY area? 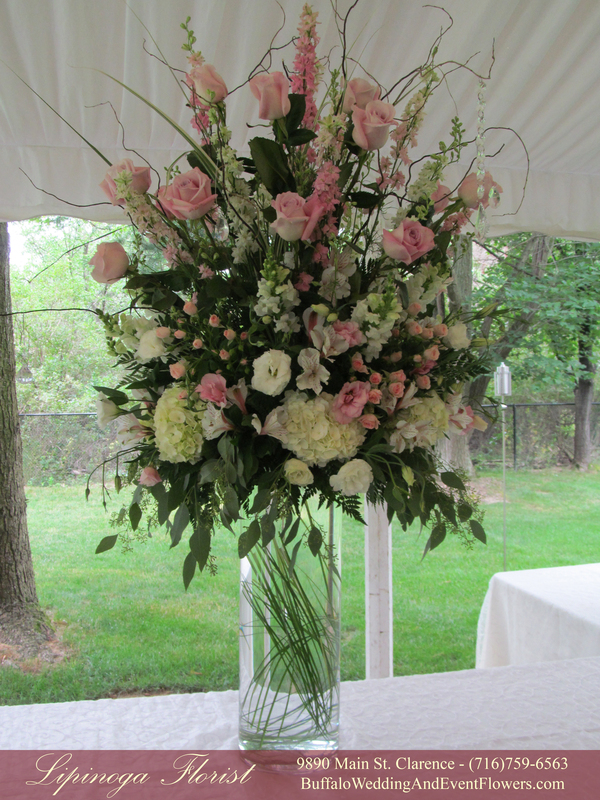 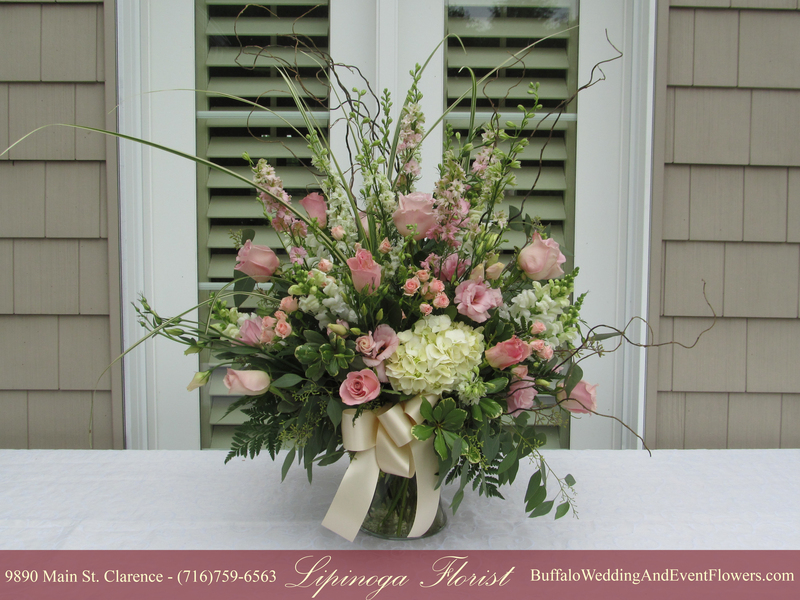 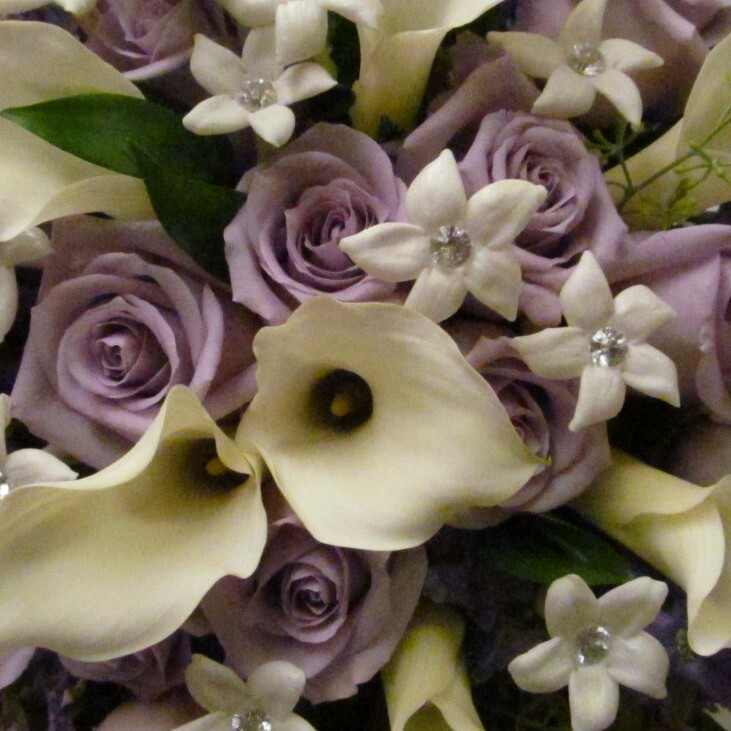 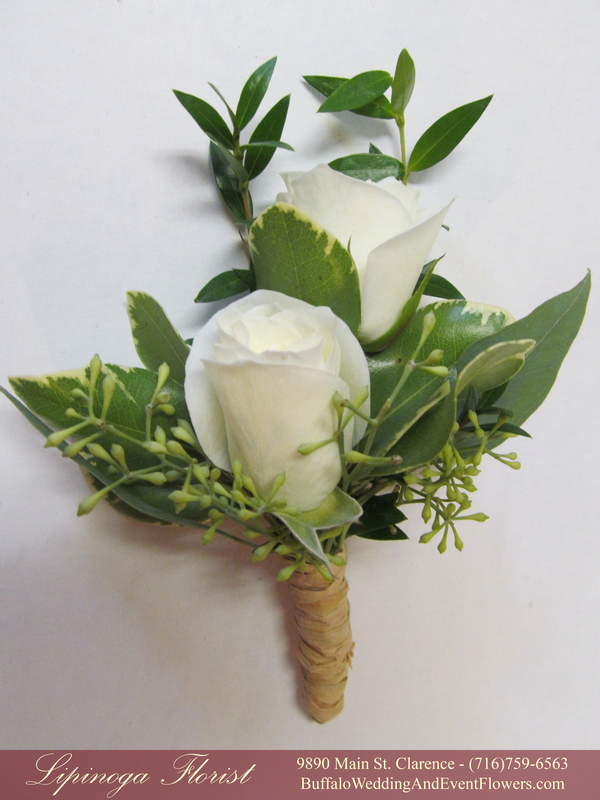 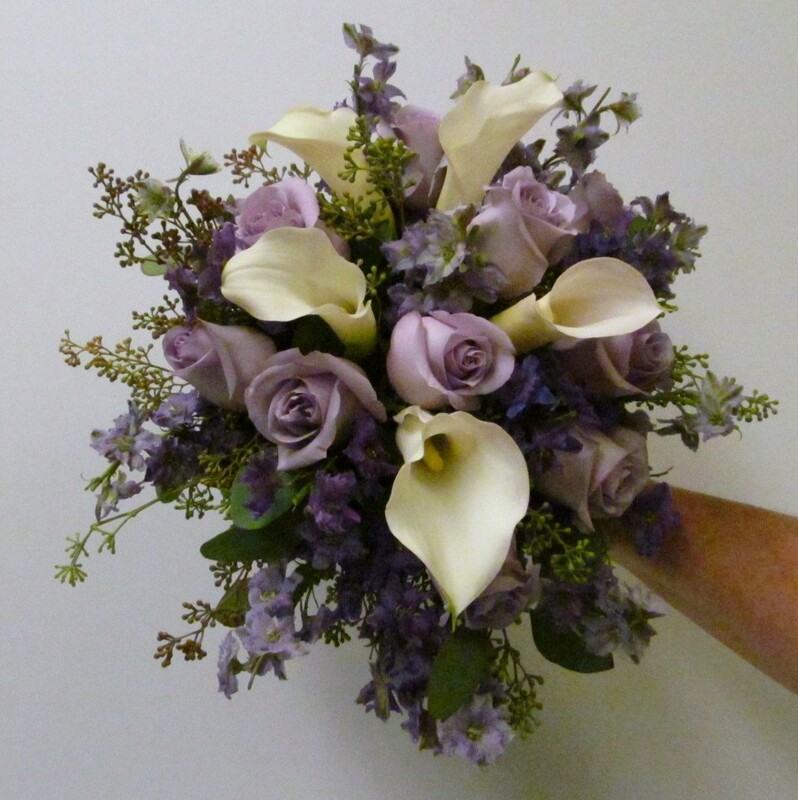 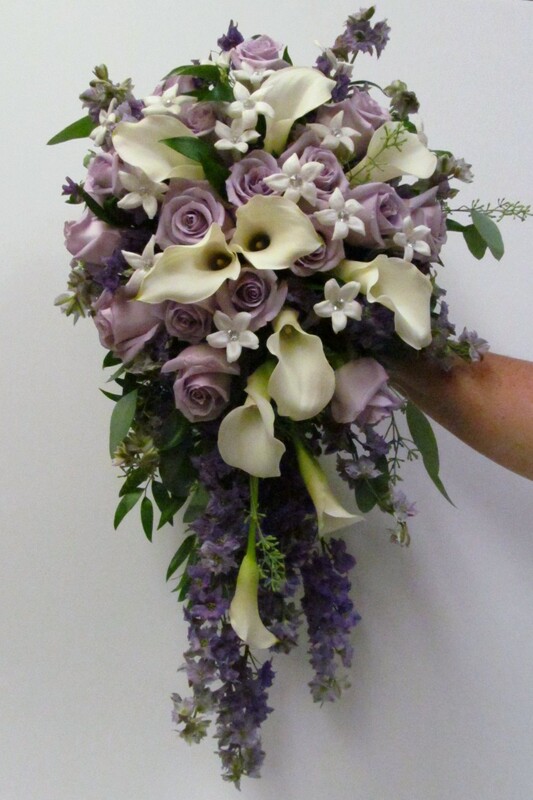 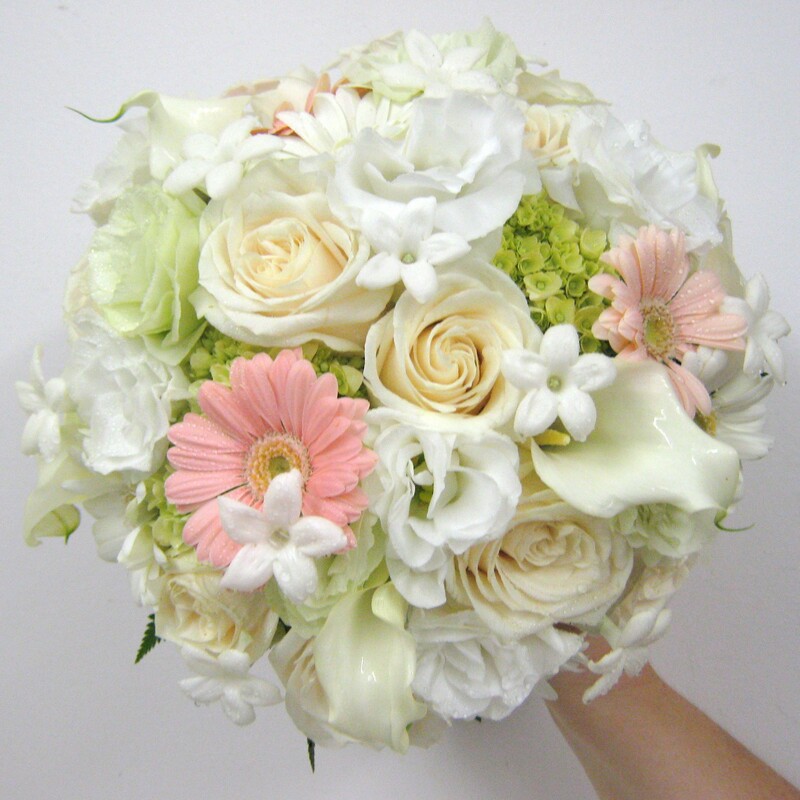 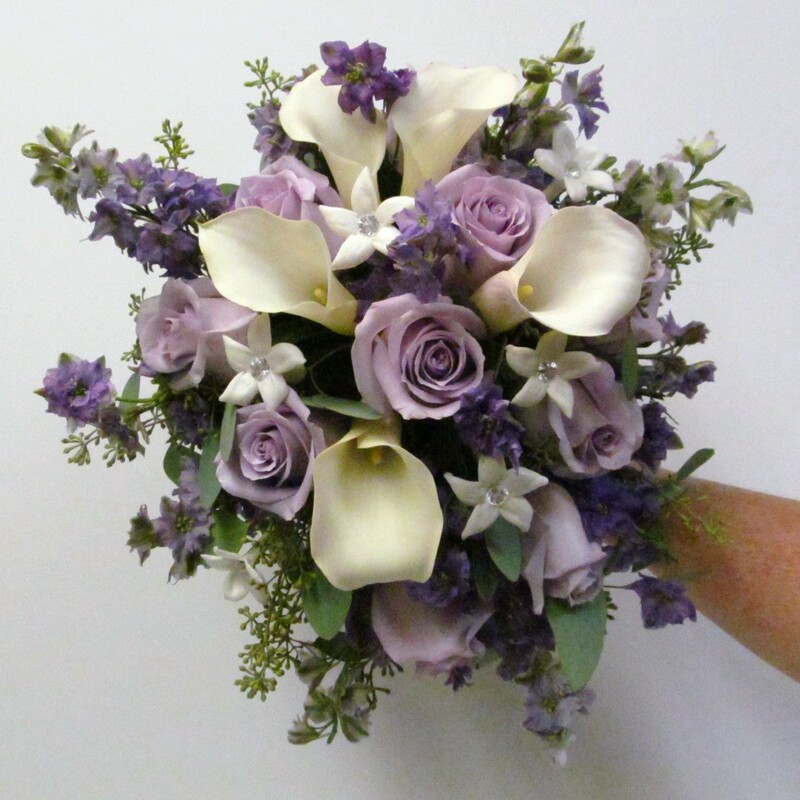 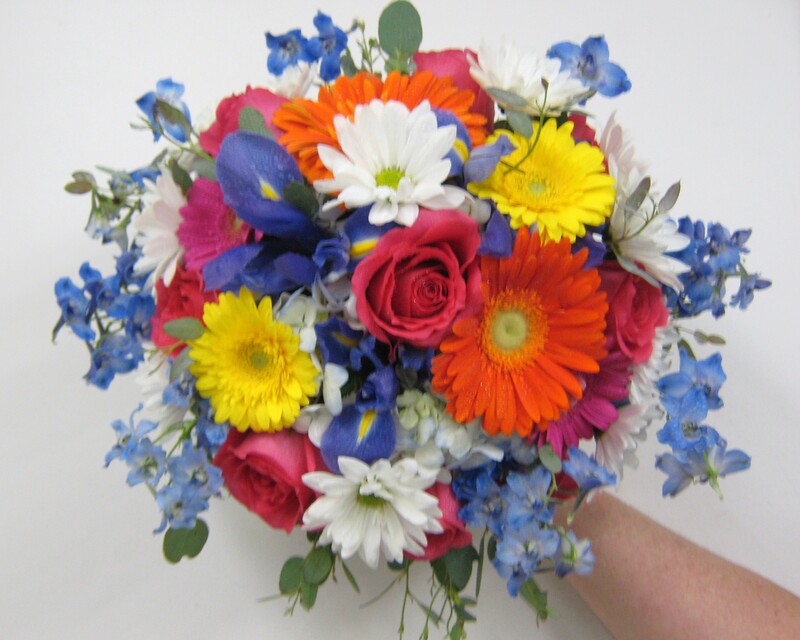 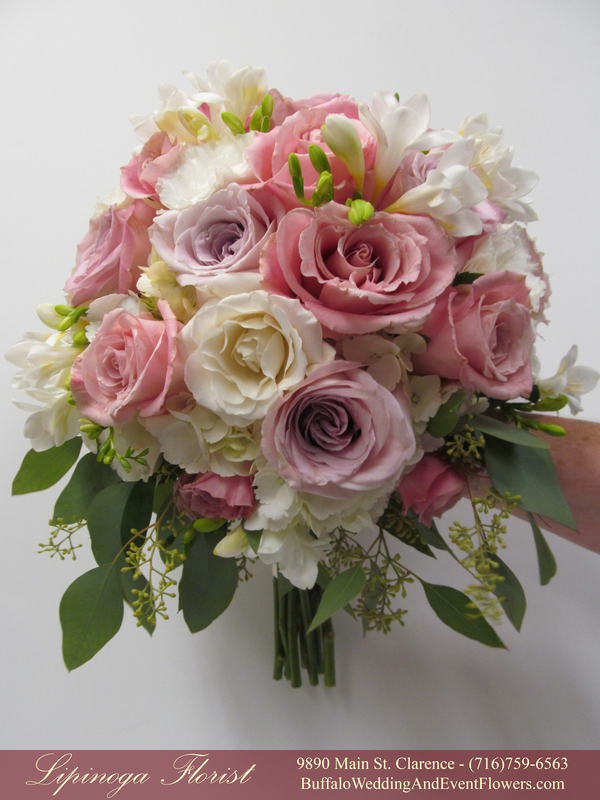 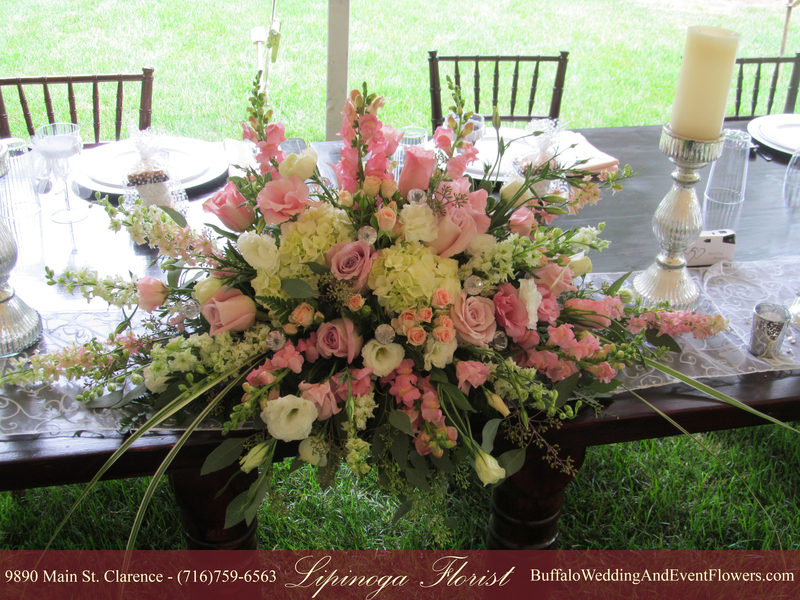 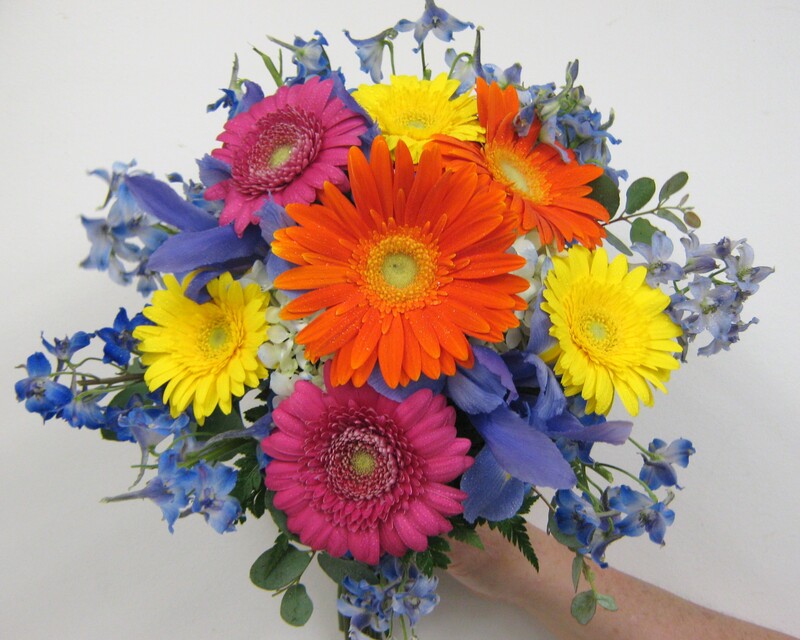 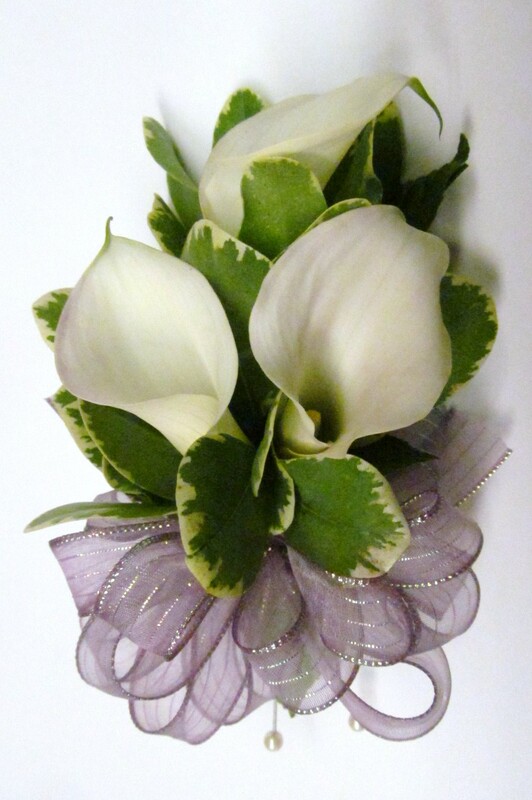 Call us at Lipinoga Florist at (716)759-6563! 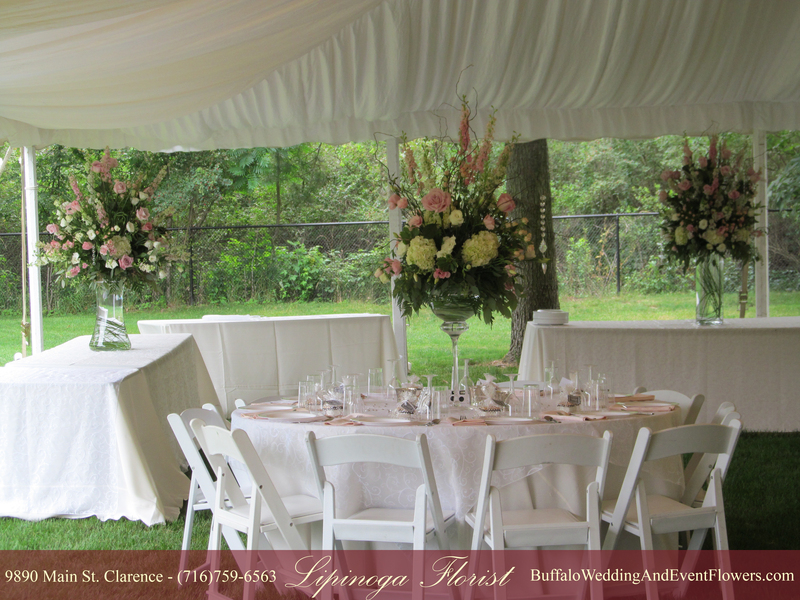 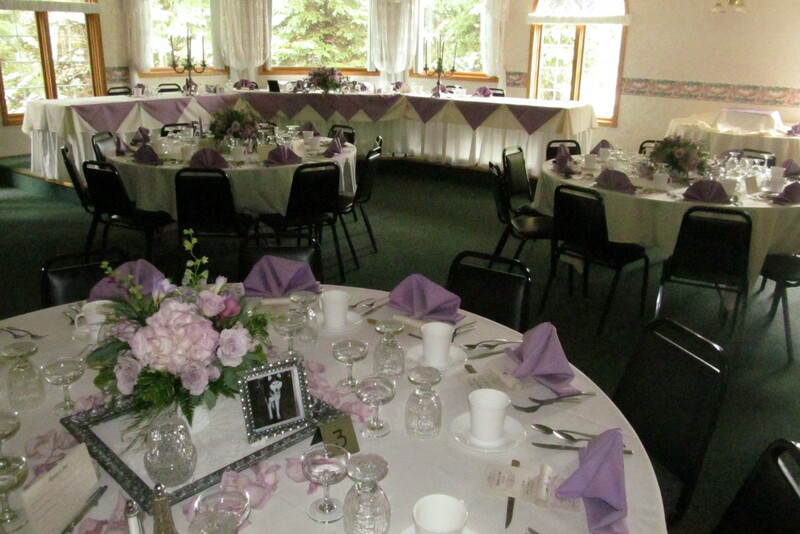 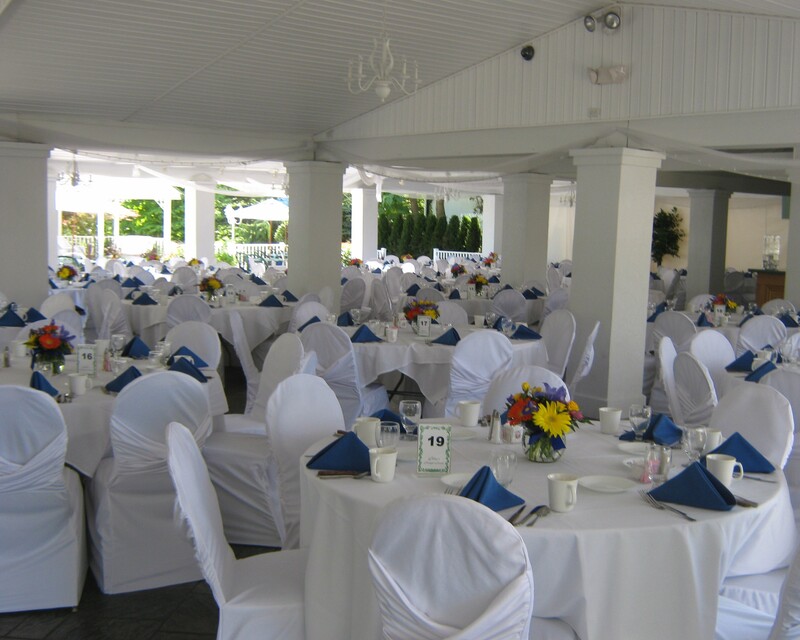 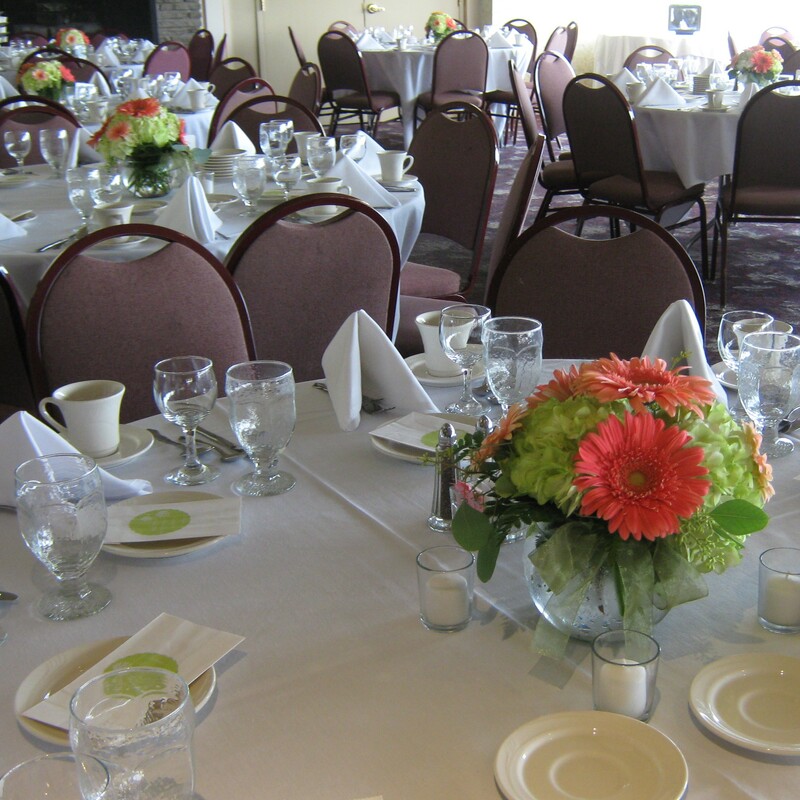 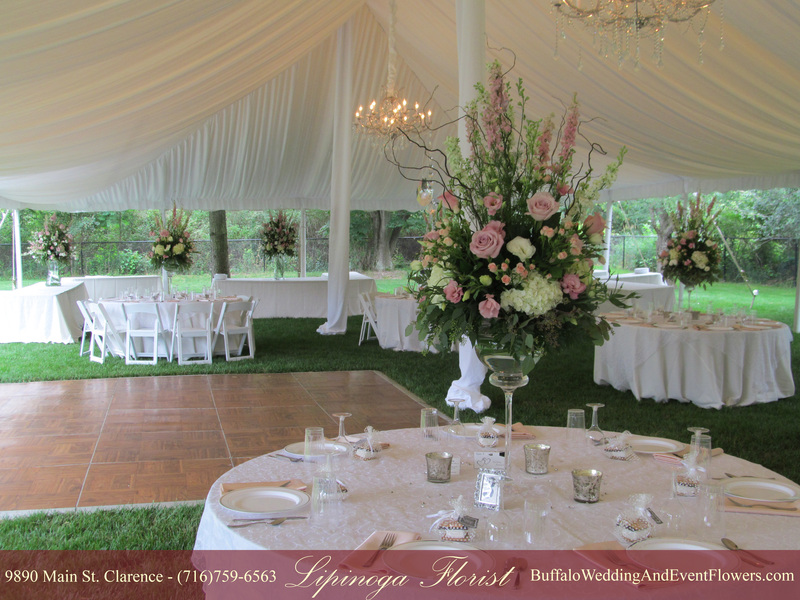 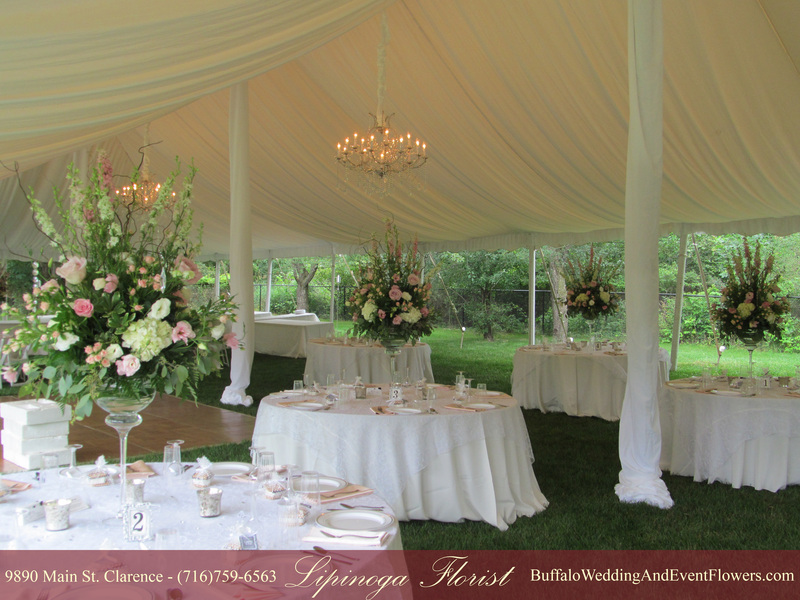 Vibrant colored flowers created a beautiful setting for a summertime wedding at Kloc’s Grove in West Seneca, NY. 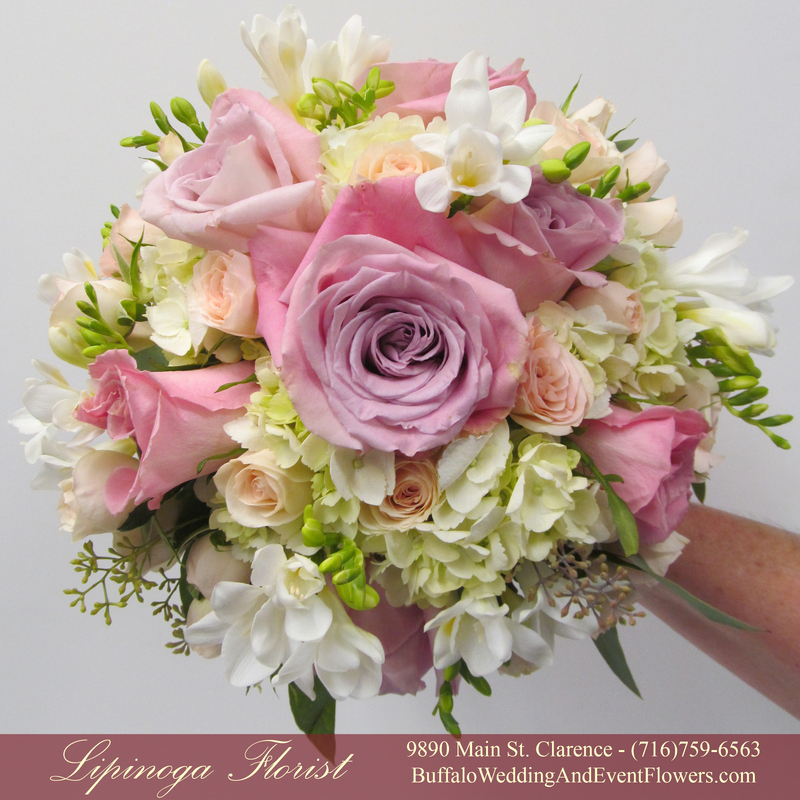 The bride carried a vibrant hued bouquet of delphinium, daisies, roses, hydrangea and iris and her bridesmaids carried a simpler version. 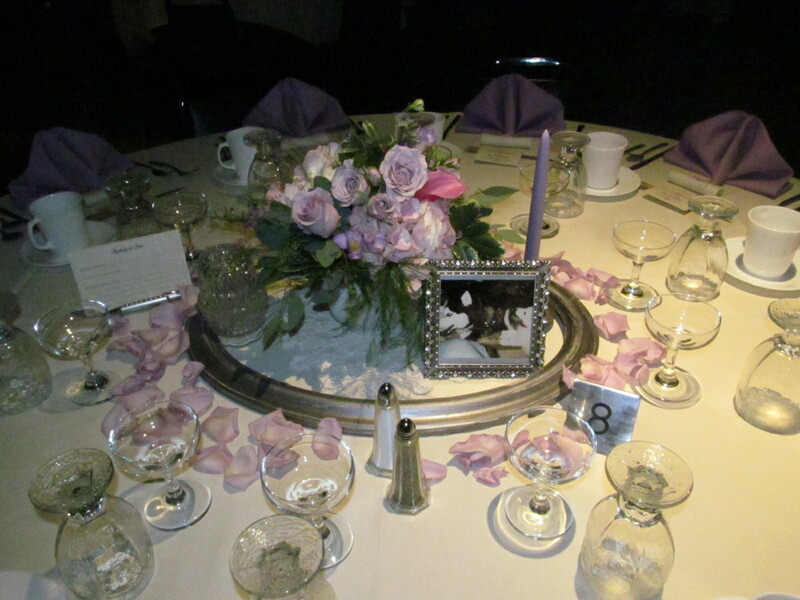 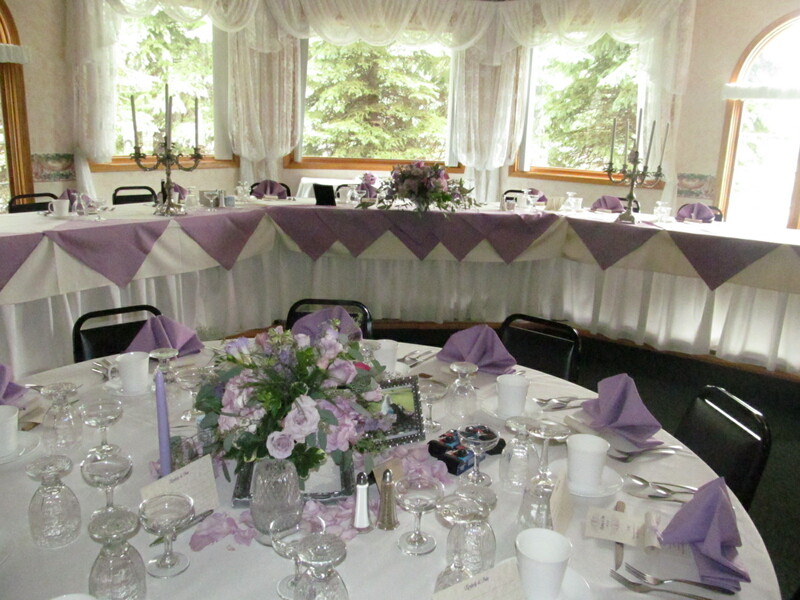 The table centerpieces were made in a simple bubble bowl with a mix of flowers to complement the bridal bouquet. 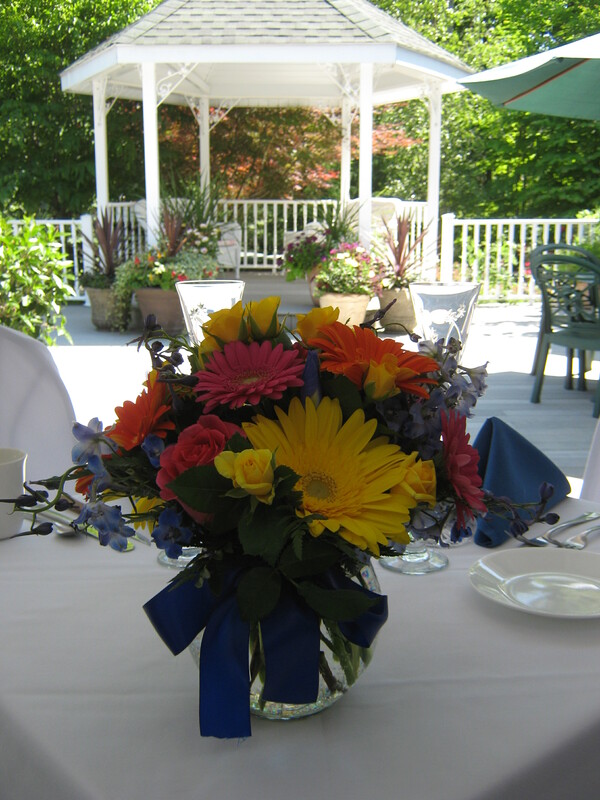 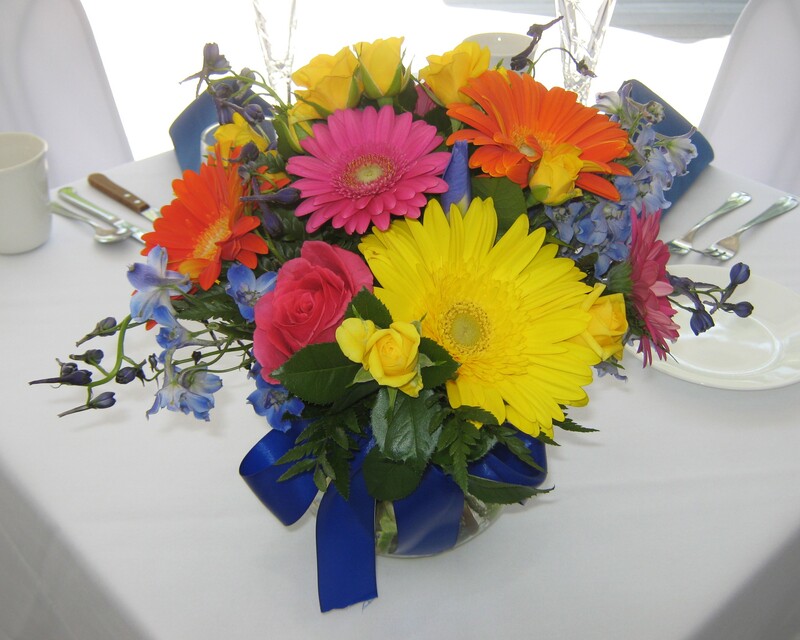 Tied with a simple blue bow the bright bouquets popped against white tablecloths.